…or Antelope depending on who you are speaking to. Able to out run the long extinct North American version of a Cheetah but never one to pass up having their portrait taken if you sit still for awhile and ask nicely. I didn’t know one could get them close enough or to hold still. Good job. HI, Jim we have had goo duck getting close by not going to them but having them come to us wile we just sit and wait. A long lens also helps matters. I could not agree more and a very pleasant fellow to spend some time with. Hop your weekend is going well. It is, thanks Mike. Hope yours is too. Hi and thanks. In a way it was a very subtle photo-bomb experience. We we actually focused in the other direction watching some young male Bison tussle about when this guy walks up behind us and gave us the once over. 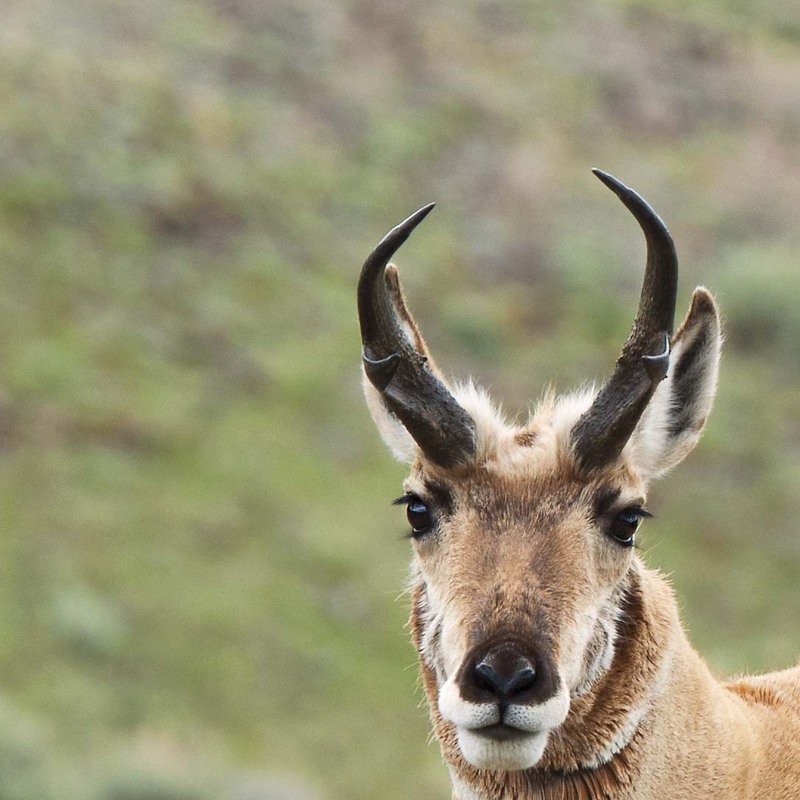 Fantastic close-up of the pronghorn, Mike. I have found they are quick to dart away, so this capture is a joy. Love the eyelashes. Thanks, yes Pronghorn are skid dish at times but with patience things fall into place. Hi Rachel, they are magnificent animals and I love the way their antlers grow.